Hi all im zoe and im 21 years old. I live in weston super mare. I have been told i am known to be shy until i know someone really well and in there words crazy and full of mischiefe and trouble. I love a good laugh. 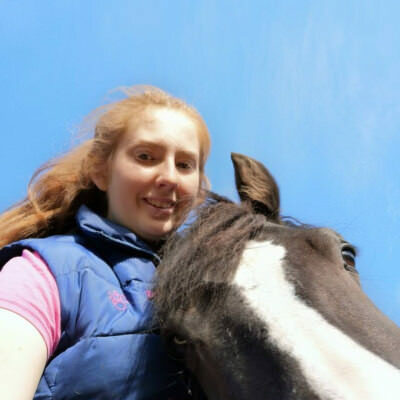 I love animals and i currently own 5 which are 3 ponies and 2 dogs that are full of fun and well horses are a dangerous sport so im a dare devil no scardy cat if i can tell a half tonne animal off it shows alot. Also as for the dogs i love taking them for walks on the local beach or too the park they are known to come back full of mud dirt and full of water so we have fun long walks. I work with children in a private nursery as a job so in full time work. If someone needs help im always there to help them as sometimes all you need is a friend to talk to. Im caring trustworthy and have a cheeky style personality. Im not scary at all so dont worry lol. Not done this before so this is new. Been outdoors makes me happy i love been at the stables or farm having a good chat with everyone or going out with friends or family to the cinema to watch a good movie. I enjoy taking my dogs for a walk on the beach and spending time with them. I love riding as its my free time. At home i enjoy talking to my friends and doing arts and crafts so always on the go. My goal in life is too be happy and be there for others. Someone that is caring , sweet , trustworthy and makes me laugh and feels relaxed enough to be myself as in what my friends see me as as im shy for a while. Friends tell me they are glad they waited as im now classed as the cheeky one.